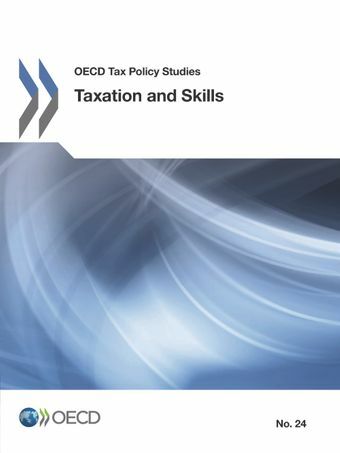 This Tax Policy Study on Taxation and Skills examines how tax policy can encourage skills development in OECD countries. This study also assesses the returns to tertiary and adult education and examines how these returns are shared between governments and students. The study builds indicators that examine incentives for individuals and governments to invest in education. These indicators take into account the various financial costs of skills investments for individuals such as foregone after-tax earnings and tuition fees, as well as whether investments are financed with savings or with student loans. Costs borne by governments such as grants, scholarships, lost taxes, and skills tax expenditures are also accounted for. The indicators also incorporate the returns to skills investments for individuals and governments through higher after-tax wages and higher tax revenues respectively. ‌On Thursday 13 April, a Q&A webinar with experts from the OECD's Centre for Tax Policy and Administration and the Directorate for Education and Skills was held to discuss the financial incentives to invest in education, with a particular focus on how tax systems impact skills development in OECD countries. The webinar presented some of the key findings from Taxation and Skills and their implications for policy makers.